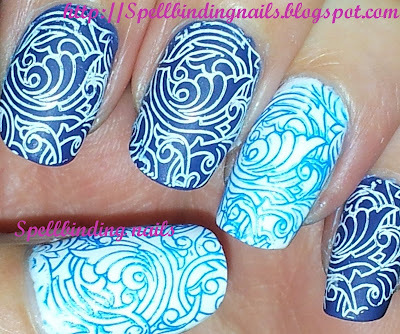 I love the colour combo of Blue and White on my nails . - Konad Special Blue and White Polish. 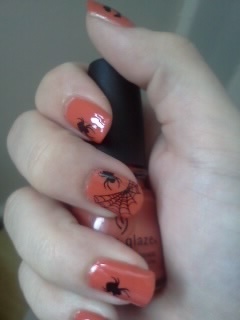 I love how this looks on my nails =). Here's a close picture of the design =). used my blog's name as her inspiration. 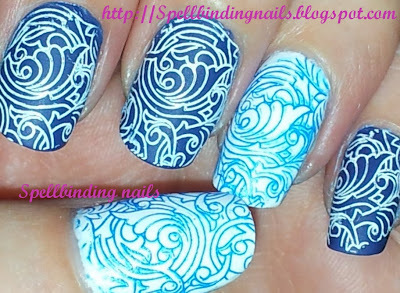 How cool is this nail art!. 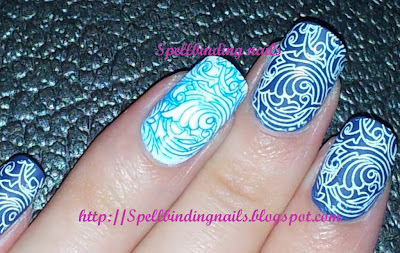 She is currently running a nail art contest on her blog and the theme is her blog's name. aww shucks :D i love your mani that image is gorgeous too i really need some of shirleys plates, i think i am going to ask santa for money to buy them hehe! WOW! What a great design. 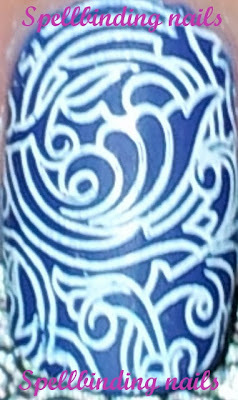 I like the combo of blue and white too. Pretty as always!!! I love the SdP plates! 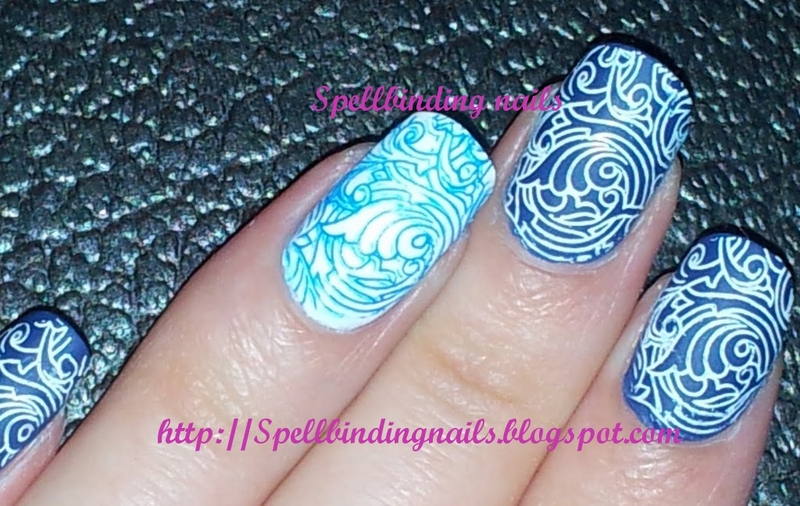 That's a VERY pretty mani! wow that is amazing, I've never done nail stamping before but omg it looks fabulous! I looove it, it's really wonderful! Great colour combination! Looks awesome as always!